PETALING JAYA: An additional 1% levy to cover cost associated with the feed-in tariff (FiT) scheme for renewable energy (RE) will be suggested next year on top of the 1% levy to be implemented from Sept 1, says Energy, Green Technology and Water Ministry (KeTTHA) deputy secretary-general Badaruddin Mahyuddin. “The 1% levy on consumers using above 300kWh (kilowatt-hour) per month starting Sept 1 is for the RE fund. “Another 1% will be suggested to be a levy on the same group of consumers to help funding for solar energy next year,” Badaruddin said when contacted yesterday. On Tuesday, Badaruddin said the ministry had proposed to the Cabinet the introduction of another 1% levy for solar power generation. However, he said KeTTHA would have to “go back to the Cabinet next year” to present the additional 1% levy as it was not on an automatically approved basis. The Government had earlier announced an average electricity tariff hike by 7.12% from June. The increase comprised a 5.12% hike to reflect the upward revision of natural gas price to the power sector, and a 2% rise in base tariff for Tenaga Nasional Bhd to partly recover from the higher of cost of power supply since June 2006. Badaruddin said households consuming 200kWh or less a month would not be affected by the RE levy. In total, 4.4 million households or 75% of Malaysians will not be affected. “The tariff increase is 7.12%, the 1% is considered as a levy to help boost our country's RE programme,” he said. Badaruddin said the ministry was currently working for the Sustainable Energy Development Authority (Seda) to be set up so that the governing body could implement RE measures by Sept 1. Seda will be responsible to manage the FiT mechanism for RE in the country as well as to award licences to renewable energy players for the production of RE. Badaruddin said although the Government had announced a tariff hike recently, the 1% levy for RE had not been incorporated into consumers' bills. “Seda will only get the 1% levy from September. However, to kickstart the RE, the Government will allocate RM189mil to finance the higher rates that TNB will be paying for RE,” he said. RON97 And Kerosene Up 10 Sen AGAIN??? KUALA LUMPUR: The prices of RON97 petrol and kerosene will be increased by 10 sen respectively effective midnight, said Petrol Dealers Association of Malaysia (PDAM) president Datuk Hashim Othman. With the increase, RON97 petrol will cost RM2.40 per litre (previous RM2.30)while kerosene will be sold at RM2.50 per litre. Hashim, when contacted, said that he was informed about the increase by the authorities, tonight. 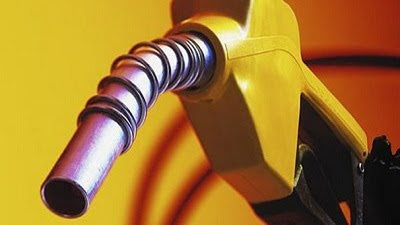 The government announced on July 16 last year that the price of RON97 will be subjected to a managed float to reflect the price of petrol in the global market. The last time price of RON97 went up was on Dec 1, 2010 when there was a 15 sen increase. Today’s increase will, however, not affect RON95 petrol that remains at RM1.90 per litre, diesel RM1.80 per litre and LPG RM1.90 per kg. According to a report today, oil produced by the Organisation of the Petroleum Exporting Countries (OPEC) increased to US$89.79 at the start of the week.